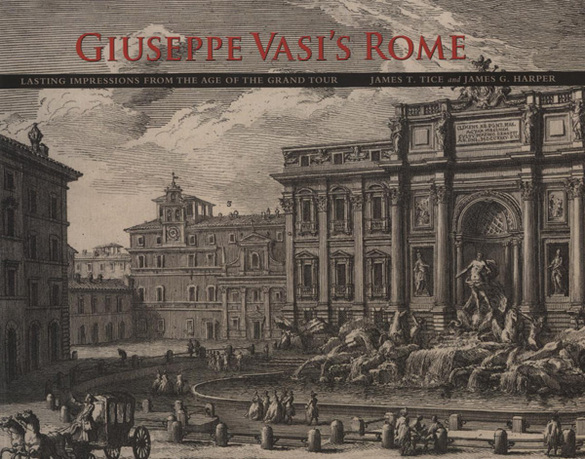 Cover of Giuseppe Vasi's Rome: Lasting Impressions from the Age of the Grand Tour, James T. Tice and James G. Harper, 2010, exhibition catalogue. The catalogue for the exhibition Giuseppe Vasi's Rome: Lasting Impressions from the Age of the Grand Tour is the first to focus solely on this prolific artist, one of the most important printmakers of eighteenth-century Rome. Famous as the teacher of Piranesi, Vasi was a master in his own right, specializing in the depiction of the architectural monuments and urban spaces of the papal city. The exhibition highlights all of Vasi's major works, including his ten volume Magnificenze di Roma, containing 240 detailed views of the city. 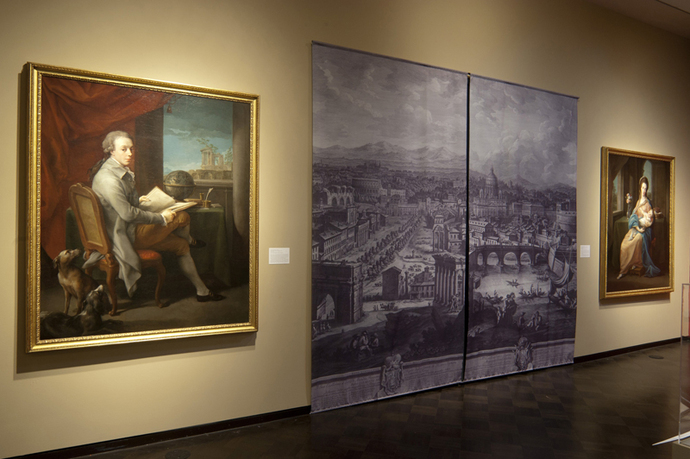 Work by other artists, such as Nolli, Pannini, Vernet, Canaletto, and Piranesi, situate the artist's activity in several contexts, including the architecture of settecento Rome, cartography, social history, patronage, tourism, and the envisioning of the early modern cityscape. The richly illustrated catalogue celebrates the 300th anniversary of his birth and includes original essays by international Vasi scholars. Jill Hartz, executive director of the Jordan Schnitzer Museum of Art, is responsible for a 13,000+ collection with special strengths in Asian and Pacific Northwest Art and a 70,000-square-footfacility that was renovated and expanded in 2005. 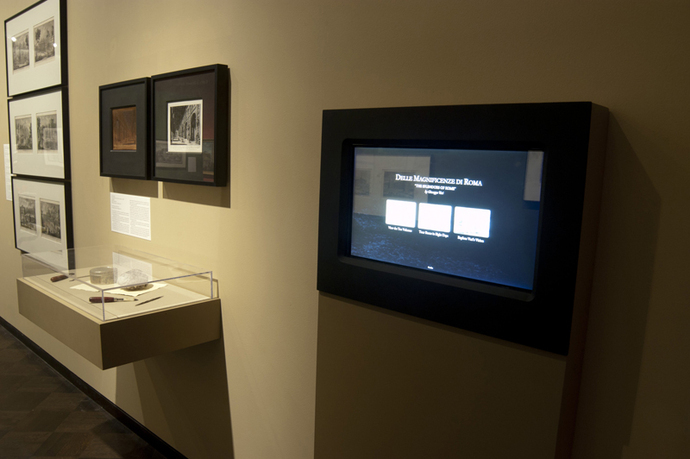 Hartz has organized numerous exhibitions and is the editor of four books. She has lectured extensively on museum accreditation and strategic planning, exhibition organization, audience building/community partnerships, marketing, and publishing. She is an IMLS and AAM MAP and accreditation reviewer, and is currently president of the national Association of Academic Museums and Galleries, an affiliate of the American Association of Museums. Ken Kato, assistant director of the UO InfoGraphics Lab, served as key staff in the development of the Vasi and Nolli websites and throughout the Vasi project. The InfoGraphics Lab is a research and production facility in the University's Department of Geography that specializes in the integration of GIS and graphic design tools with cartographic design, atlas design, and web-based dynamic cartography. Kato's expertise is in the design and management of enterprise GIS applications, specifically using ESRI SDE Geodatabase, running on a Microsoft SQLServer. Erik Steiner is a designer and developer at the UO InfoGraphics Lab and is the director of the Spatial History Lab at Stanford University. His design and research work has won multiple national and international awards. Specializing in dynamic cartographic representation, he has given several workshops and taught courses on the topic, as well as led in the design of CD-ROMs for Atlas of Oregon, Oregon Geographic Names CD-ROM, and been the lead designer of two major websites, Interactive Nolli Map Website and Giuseppe Vasi's Grand Tour. James Tice, principal scholar, is professor of architecture at the University of Oregon and an associate research fellow at Studium Urbis, an international study center in Rome devoted to the study of the city's urban history. As a teacher, scholar, and architect, he has devoted twenty-five years to the study of Italian architecture and urbanism. He has coauthored two books on architecture, one of which uses computer generated visualization techniques to reveal architectural principles. He has earned a national award for his exhibition design work that is both national and international in scope. His most recent projects include research and publication of two interactive websites with Erik Steiner, the Interactive Nolli Map Website, 2005, which was honored with the 2005 NorthWest Academic Computing Consortium Award for outstanding project of the year; and Imago Urbis: Giusepe Vasi's Grand Tour of Rome, 2008, which was the result of a major research grant from the Getty Foundation. James Harper, principal scholar, is a recent Kress Fellow (at the Villa I Tatti, Florence) and is currently associate professor of art history at the University of Oregon. His research focus on Italian studies has resulted in numerous publications on the art and architecture of Renaissance and Baroque Italy. He was a contributing author to Art in Rome in the Eighteenth Century (exhibition catalogue, Philadelphia Museum of Art, 2000). 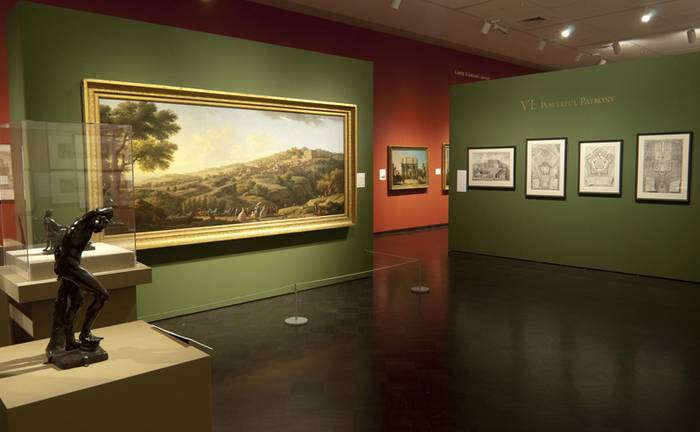 The Jordan Schnitzer Museum of Art enhances the University of Oregon's academic mission and furthers the appreciation and enjoyment of the visual arts for a broad public. 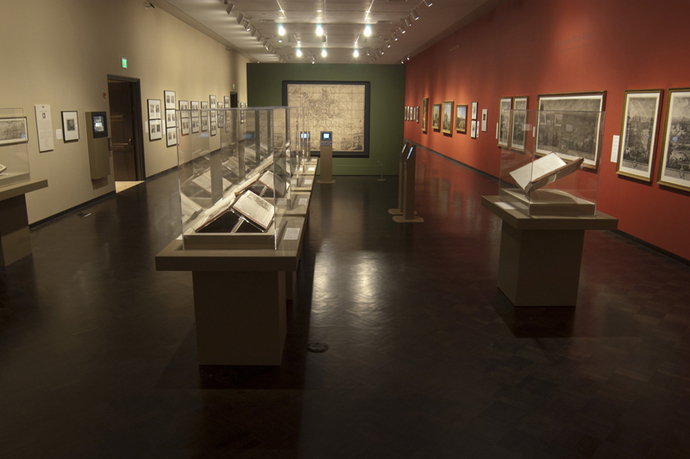 The University of Oregon Museum of Art opened its doors in 1933. 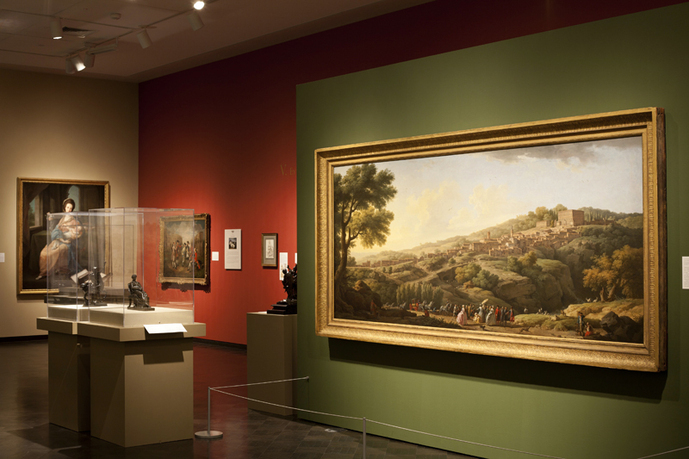 Following a four-year renovation (2001–04) that doubled the museum's size (to 76,000 square feet) it reopened in 2005 as the Jordan Schnitzer Museum of Art. 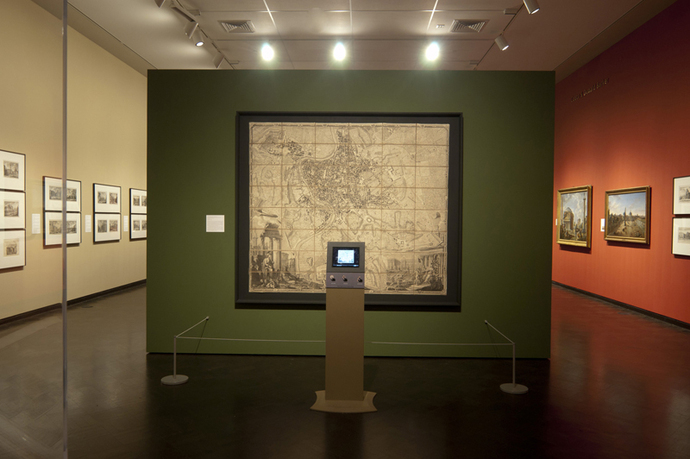 The museum's Asian collection now numbers more than 8,500 works; its American and Pacific Northwest collection comprises more than 3,500 works in many media; and a growing European collection includes icons, paintings, prints, and drawings that span several centuries. The JSMA offers a robust schedule of changing exhibitions, lectures, family events, studio classes for all ages and abilities, K-12 student tours and outreach programs, summer art camps, and curricular support for the UO School of Architecture and Allied Arts and other disciplines.